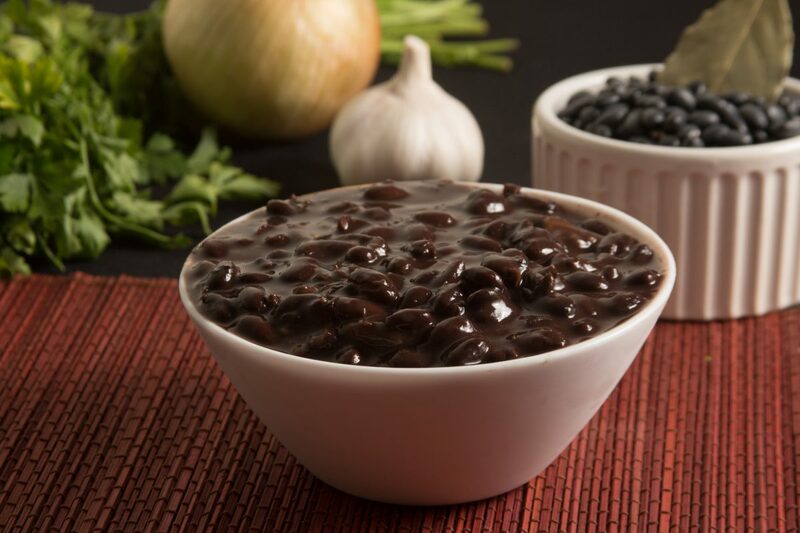 Sos pwa nwa (Haitian black bean soup) is a hearty and delicious dish that is typically served with white rice. It’s flavored with garlic, onions, spices, seasoning and coconut milk. Sort and rinse black beans. Place beans in a large stock pot with approximately 6 cups water (1 1/2 in. above beans). Add garlic, oil and leek or onion cut into slices. Boil for 1 hour. Remove coconut out of shell with a knife. Clean the coconut and then grate 1/2 the coconut on a fine grater (should have between 1 1/2 – 2 cups of grated coconut). Add about 1/2 cup room temperature water at a time to coconut and squeeze out coconut and put through sieve. Repeat this, saving the water, until there is approximately 4 1/4 cups coconut milk. Add coconut milk to boiling beans. Cook for another 45 minutes or until beans are done. Let sit.Strain beans into moulen (wooden mortar and pestle) and add a little liquid from beans as you use the moulen. Add more hot water until right consistency. Put on stove. Add butter and bouillon cubes and stir. Add a bouquet of chopped parsley. Keep hot until ready to serve.